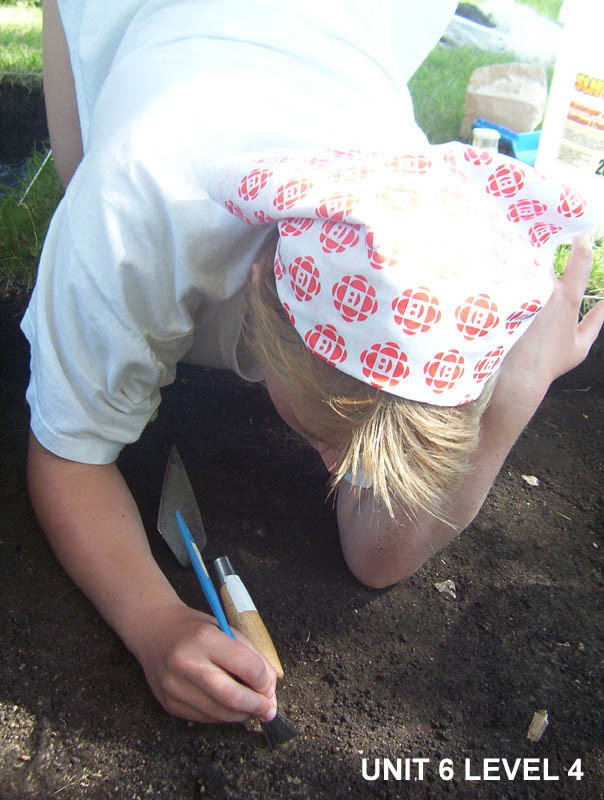 Today, was a great start to week two of the Public Archaeology Project. 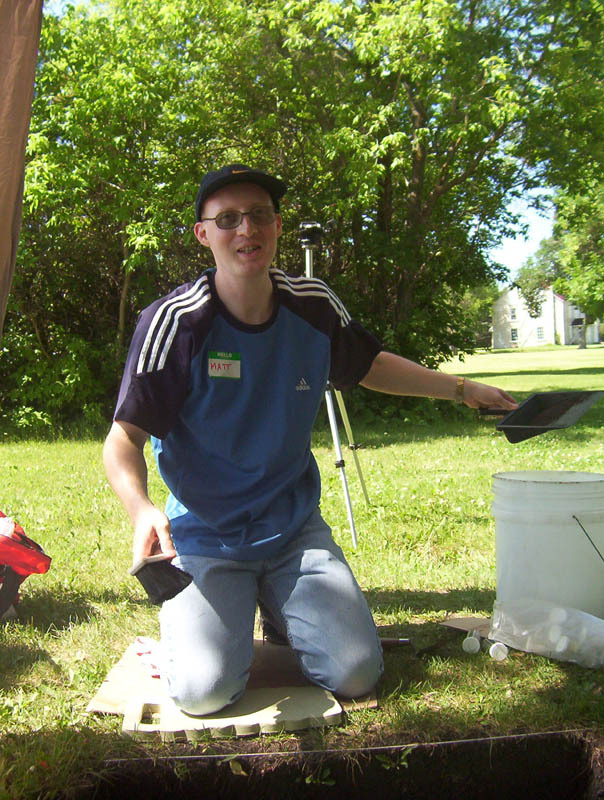 Knowledge of trade and travel networks in the Red River Valley was expanded with the discovery of an unusual lithic flake in Unit 6. 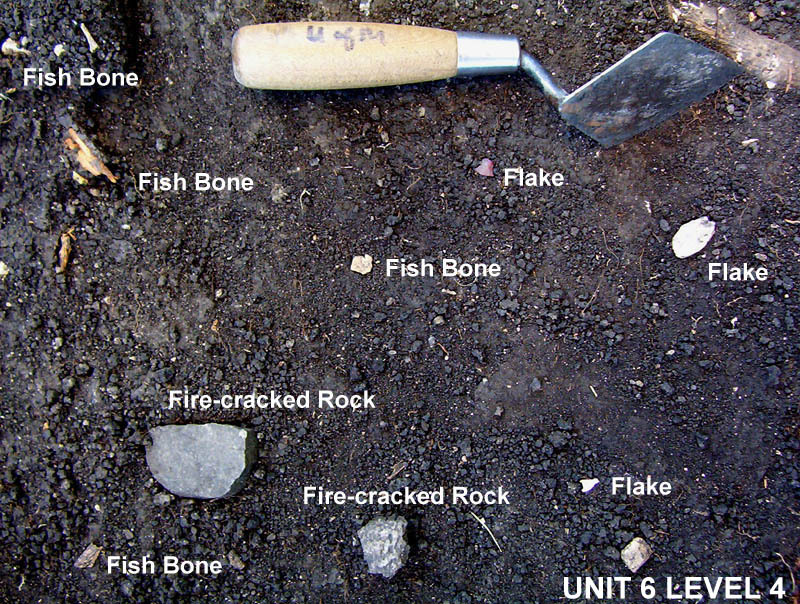 This flake was associated with chert flakes, fire-cracked rock and fish bone. 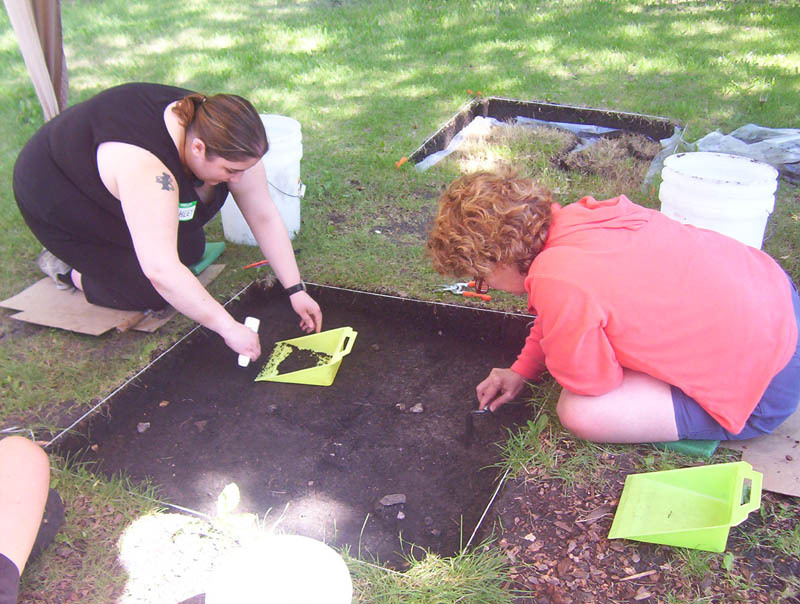 These artifacts were also associated with a hearth feature excavated last season. One of today’s participants is in Manitoba on a holiday from England.